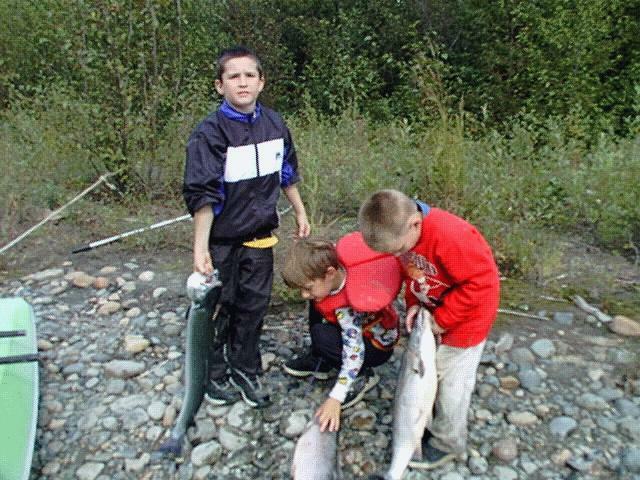 1997 while Sarita and I were at the cabin site with grandson Colin, our friend Novice Eady from Kenai came up with his grandson Garrett. The boys really had a great time fishing and playing in the sandbank. 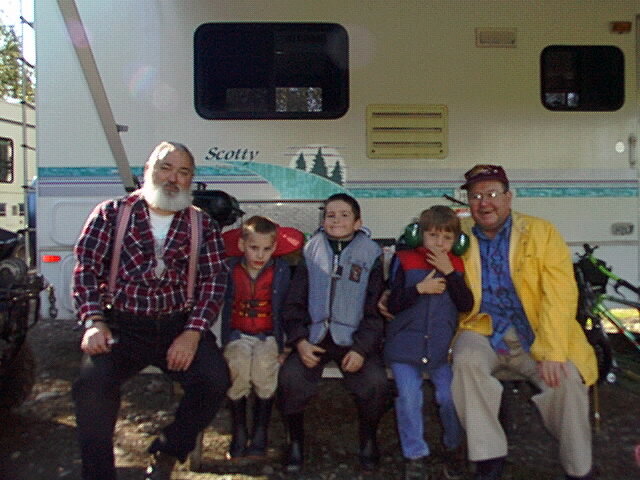 1998 we included Charles my other grandson. The boys are really having a good time. 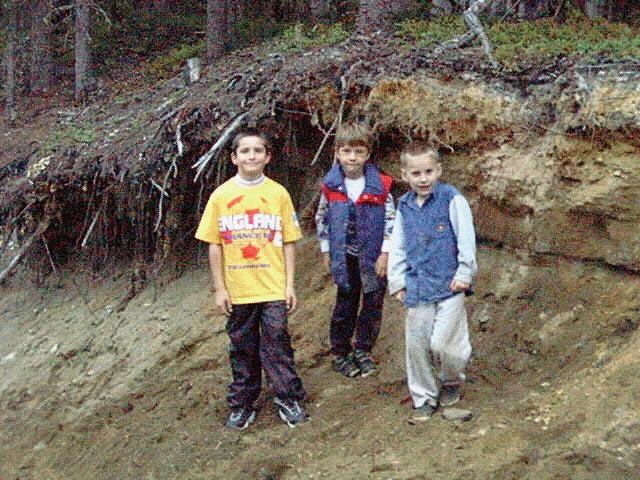 Matter of fact such a good time it was hard talk them into wanting to go home.